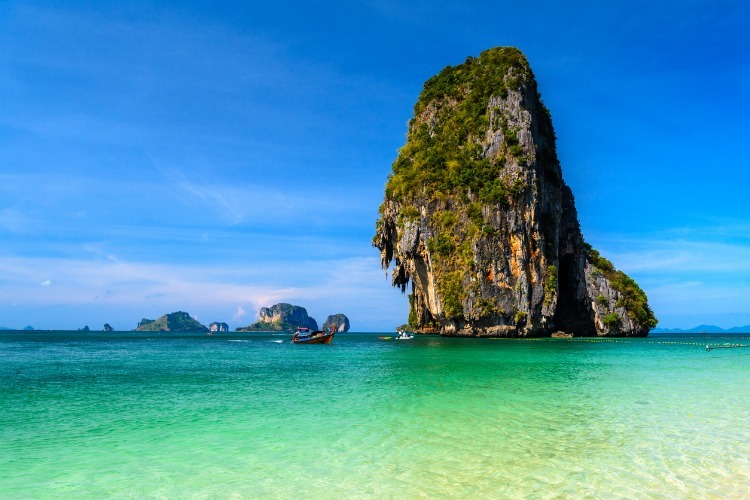 Thailand, aptly nicknamed the Land of Smiles, has topped the bucket lists of many a traveller for decades. Famous for its epic cuisine, intriguing cultural heritage and beautiful scenery, it’s not hard to see why. These days, Thailand welcomes over 16 million international visitors every year, but its special magic doesn’t seem to have run out yet. 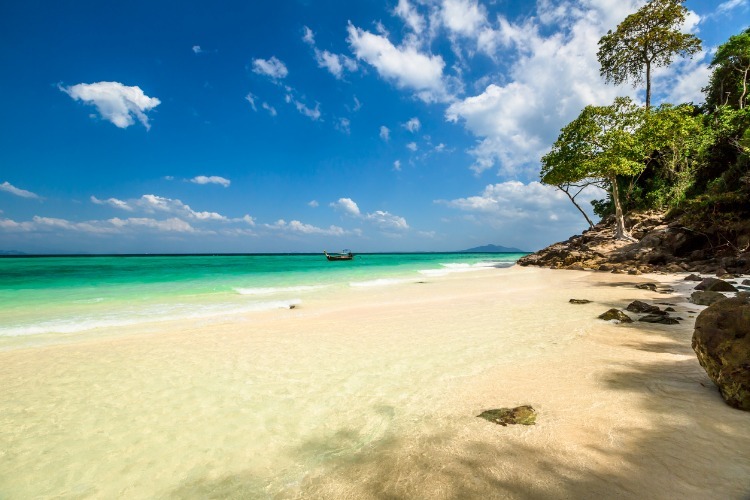 While some are drawn to the party scene in Phuket, and others to the adventurous air in Chiang Mai or perhaps the friendly whale sharks of Koh Tao, there is one thing no Thai traveller can resist: the beach. 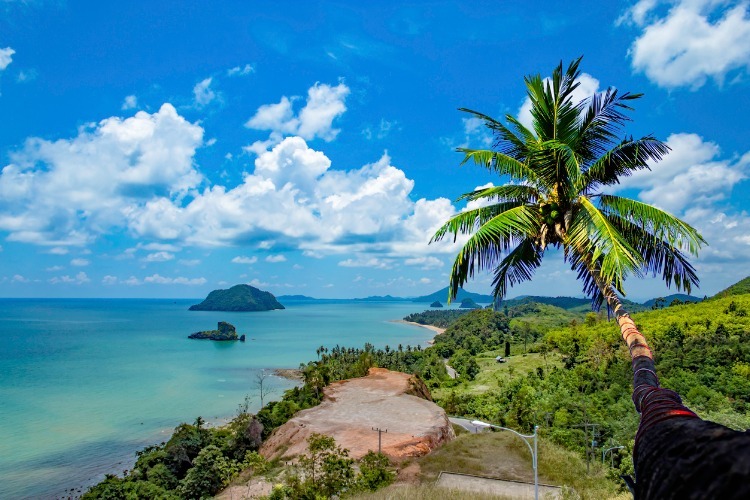 Thailand’s natural scenery is made complete by some of the most beautiful beaches in the world. Each coastline and every island has endless hidden gems where the sea meets the sand, and unfortunately, most of us wouldn’t be able to hit each one (not that we wouldn’t want to try). There are, however, certain beaches in Thailand that lay especially close to our hearts. So, if you’ve never been before or if you’re looking for some new recommendations, you’ve come to the right place. This is a list of our personal top ten beaches in Thailand, most of which aren’t very crowded or rowdy. They are truly the cherry on top of your ultimate tropical getaway, and we hope they spark some wanderlust. Phra Nang Beach is one of four beloved beaches on the Railay Peninsula of Thailand’s Krabi region. Unless you’re up for some pretty serious rock-climbing (in which case you can get to the beach through a cave of friendly monkeys), the only way to reach Phra Nang Beach is by water. Luckily, there are water-taxi services of sorts that frequently take visitors in long-tailed boats from nearby resort areas. The waters at Phra Nang Beach are clear and clean, despite the popularity of the location, so you’ll be happy to take a dip. In contrasts to the beach’s fine pale sands, there is a rock island jutting out of the sea nearby which makes for an interesting view and a fun swimming excursion. A rock wall also backs the beach itself, and if you’ve got proper footwear, you can climb the path to some gorgeous views of the peninsula from up high. Lots of natural greenery can provide you with shade from the hot midday sun, but there aren’t many amenities available for day-visitors. There are, however, several boats anchored just offshore that sell food, drinks and snacks. This way, you can easily spend hours revelling in the happy vibes of this little Krabi-paradise. At the very northern tip of Thai island Koh Payam, there is a tiny little beach hidden away in the thick jungle landscape. Ao Kwang Peeb can only be reached by a single small and bumpy track, the last bit of which has to be conquered on foot. This means not a lot of people are up to the challenge, and you shouldn’t be surprised to have this oasis virtually to yourself in the off-season. Ao Kwang Peeb brings new meaning to the words ‘secluded’ and ‘tranquil’. This is a completely natural beach, as good as untouched by human hands. It’s enclosed by greenery and has rock formations jutting up both out of the sea and the sand. Shallow waves break on the powdery white sands in shades of aquamarine, creating a serene and meditative sight. It’s truly a place that will make you forget about all your worries. There are only some basic provisions available on site, and nothing in terms of big resort amenities. To give you an idea of the scale of things; there is a total of four deck chairs available to rent. There is also, however, a nice hammock and a tree swing tucked away among the trees for when you’re looking for a spot of shade. Take a nap, go for a swim, and enjoy the picturesque views of Koh Chang and Myanmar across the water. Sai Daeng Beach is a lovely spot with a cosy atmosphere located on southern Koh Tao, part of Thailand’s Chumphon Archipelago. The sands here are tinted ever-so-slightly pink and have crushed up bits of coral in it. The effect is beautiful, but these pieces of coral are sharp, and you’ll want to be careful when walking barefoot. On the upside, you’ll be able to snorkel their brilliant reefs right from the beach, and there is even equipment for hire. With Shark Island close by, there are also excursions organised by the local diving school. Diving, and even just snorkelling in this area, you’ll have high chances of spotting blacktip reef sharks and sea turtles. Besides, the views of Shark Island from the beach are fantastic. Sai Daeng Beach is very clean and free from stress and distractions. Enclosed by rock, it’s only reachable by a path through the jungle (travelling in Thailand you’ll notice that such is the case with many of the best hidden gems). And while quite remote, it’s not hard to get there once you know the way. There are two resorts with excellent restaurants by the beach, but it still doesn’t tend to get busy even in peak season. 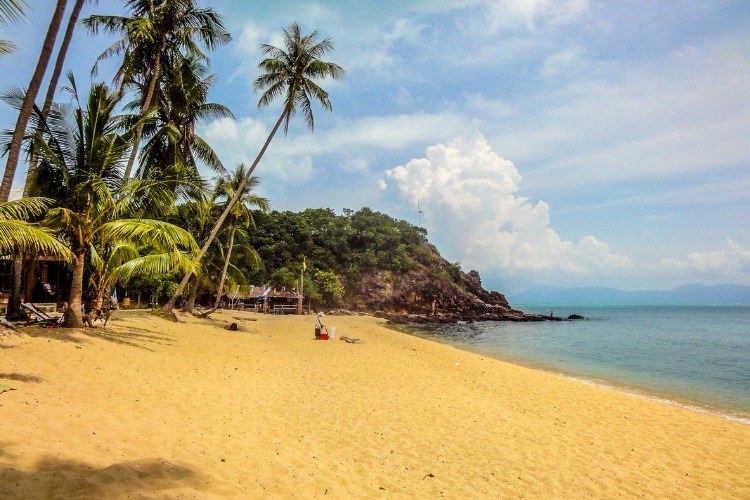 Not just a beach, but three small islands connected by sandbars (which disappear underwater at high tide), Koh Nanguyan is what many consider the ultimate Thai beach destination. 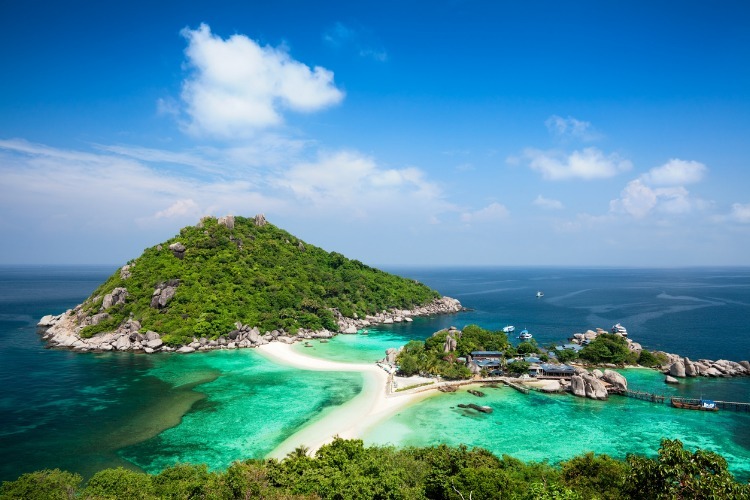 The easiest way to reach these magical sands is by renting a long tail boat at Koh Tao, and from there it’s just 20 minutes of smooth sailing. Fair warning, you won’t get the beaches of Koh Nanguyan to yourself, but there tend to be really good vibes among fellow travellers here. When you arrive on the island, you’ll have to pay an entrance fee of 110 baht (approx. £2.50) as well as hand over any plastic bottles or cans. These are banned on the island, so it’s best to opt for something reusable instead. From there on out, you have free range of Koh Nanguyan until 5 PM when day-trippers have to depart, and only resort-guests may stay. Depending on the tides, you’ll have varying amounts of beautiful beach to play with, but one thing that never fails is the amazing Koh Nanguyan snorkelling. The great coral populations and colourful marine life will blow you away. There are even plenty of visitors that stay in their boats just off-shore to enjoy the underwater worlds of Koh Nanguyan without paying the entry fees. 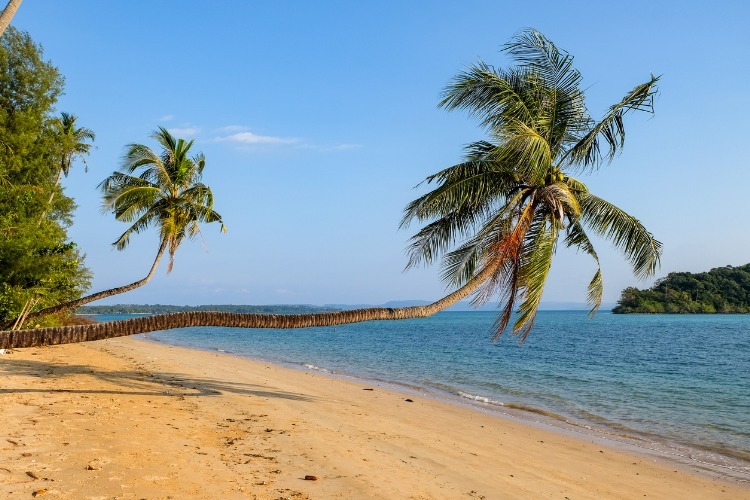 The golden grains of Mae Nam beach lay peacefully sheltered by large-leafed palm trees at the north end of Koh Samui. It’s a quiet beach with lots of space to stretch out on the sand and enjoy the old school beach atmosphere. At low tide, Mae Nam Beach can stretch up to 7km and is the perfect setting for a romantic sunset stroll. In fact, this is the longest unbroken beach on the island, but it’s still surprisingly undeveloped with just a few resorts popping up here and there. Families will love Mae Nam as there is plenty of shade beneath the palm trees and the swimming is great. 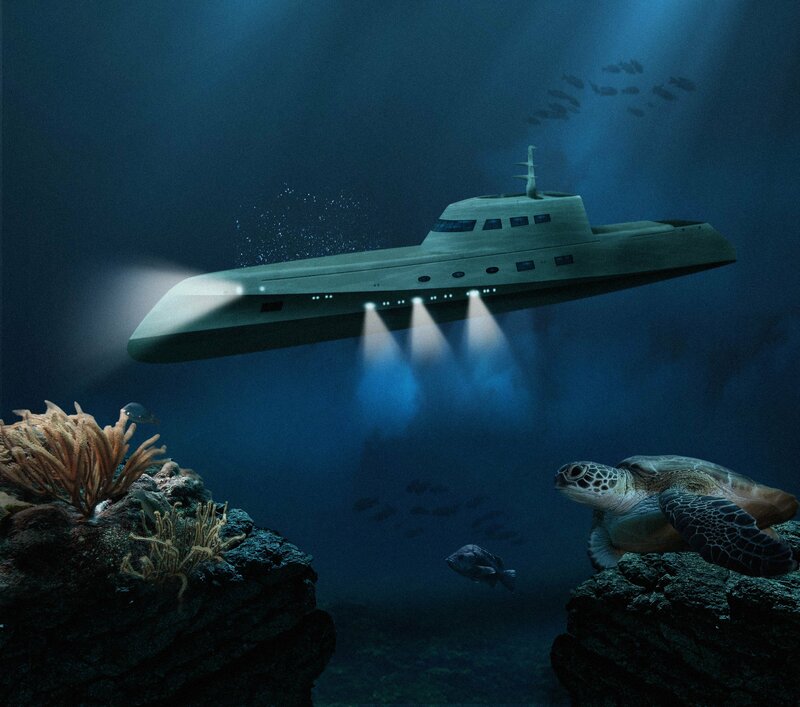 There are, however, no offshore reefs which means that the waters are much deeper than your average Thai beach and you’ll probably want to keep an extra keen eye on small children. Still, it’s a big favourite with families from all over the world. Although you’ll have all the privacy your heart desires at Mae Nam beach, there are still a few good bars and restaurants right on the sand – mostly belonging to local resorts. And once a month, you’ll have your evening’s entertainment sorted by the fireworks of the Full Moon Party that light up the sky from across the water. On the popular resort island of Koh Lanta, one of the few beaches that have avoided tourist trap doom is Long Beach. Don’t be mistaken; Long Beach is immensely popular among tourists – so much so that it has been given an English name (road signs still point toward its Thai name, Phra Ae). Even so, the beach is large and spacious with plenty of privacy and an almost-deserted feel at times. Back in the ’80s, Long Beach was a popular backpacker spot, but these days we’d call it more of a family-favourite. While the waters are quite deep, the lovely white sands are still great for kids to play on. There is usually beach volley and football happening in the afternoons, but Long Beach is unique in that there are no water sports, not even snorkelling, which you’ll find on most popular Thai beaches. Adding to the natural feel of Long Beach is its fringe of majestic pines and the fact that all development is set back among the trees. You’ll still find a great selection of beachfront restaurants, though, some of which have gorgeous ocean views of the sunset during dinner-time. Or you could always pack a picnic and head to the south end of the beach, where it is divided up by rocky outcrops into private, romantic little oases. To the very northeast of the Phi Phi archipelago, there is a small undeveloped island which appears nothing like its other buddies. Bamboo Island, or Koh Pai in Thai, is a tiny heart-shaped island which you probably couldn’t even make out of most maps. At 600x700m you can walk around the whole island in less than 30 minutes. Its entire circumference is made up of white-sand beach with lush bamboo forest in the middle. Bamboo Island is a fabulous tropical getaway from the crowds. While you won’t have it all to yourself, it’s rarely very busy apart from then the boat-tours stop for lunch. Most of the time, it’s the kind of place that just makes you forget about the rest of the world. 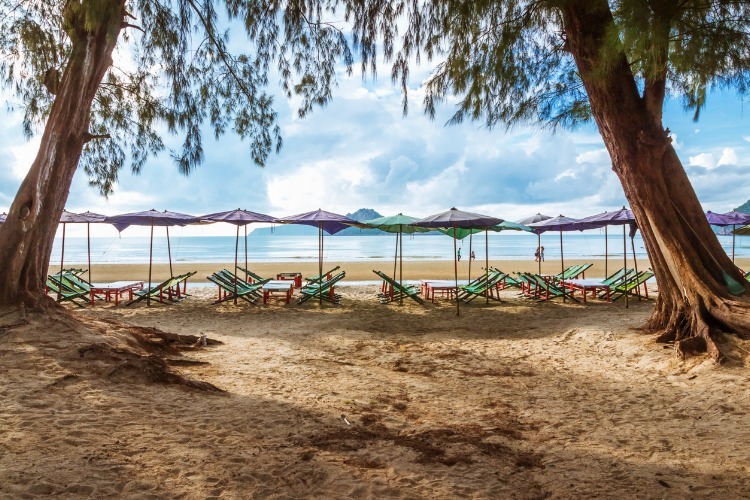 There are no resorts, hotels or restaurants on the island apart from a small bar that serves drinks and snacks, so here’s your perfect opportunity for a Thai picnic on the beach. Surrounded by gorgeous snorkelling reefs, and close to the remarkable Hin Klang reef, this is also the perfect place to revel in colourful marine life. You can probably spot these through the crystal-clear waves on your way to the island via long tail boat from Laem Thong Beach. And if you don’t want to pay the 400-baht (£10) entrance fee, just stay offshore and make friends with the fishes for a day. Along Phuket’s north-west coast, Mai Khao Beach stretches for 11 long kilometres in a dazzlingly straight like that makes it seem endless. It is the longest beach in Phuket and our absolute favourite. 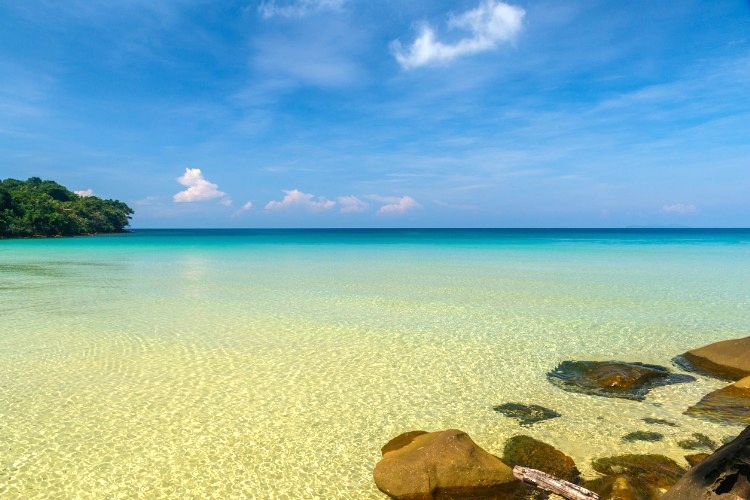 Part of Sirinat National Park, this beach is an undeveloped oasis save for a handful of calm resorts – an increasingly rare sight on the tourist-packed island of Phuket. In fact, there are large parts of Mai Khao where you can walk for miles without running into a single person. There aren’t many independent restaurants on Mai Khao (but very good offerings within the resorts) apart from a few nice local seafood places to the north. At the beach’s opposite end, you’ll find Phuket Airport, which might not seem like much of an attraction but watching the planes take off and land at close range is quite the experience (and there’s no need to worry about noise as the beach is so large). The deep waters at Mai Khao are great for swimming, but the currents get very strong in the summer months so be careful. 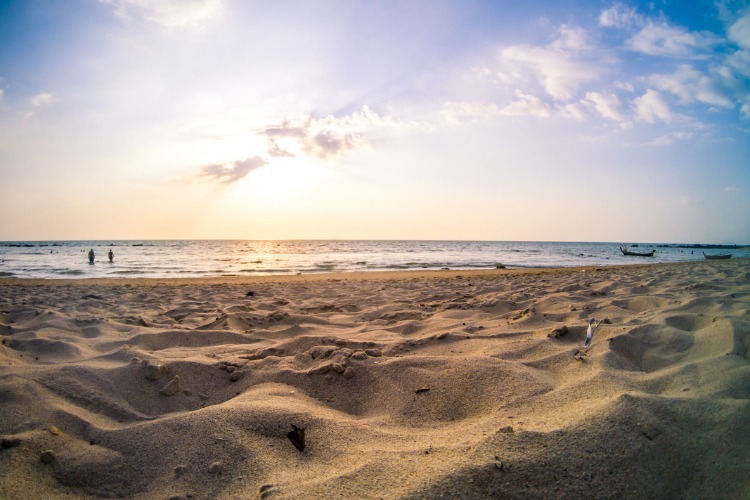 As the beach is part of a national park, there are no motor boats or even jet-skis allowed to disturb the peaceful ambience. Kayaking and surfing are the preferred forms of water sport, not to mention baby-turtle watching. There is a local sanctuary helps newly-hatched turtles find their way to the sea from this beach and for a small donation, you’re welcome to help out. Sairee Beach is the one that’s not quite like the others, being the liveliest of all the beaches on our list. We love it just because it has got so much going on, while still retaining a really chilled out atmosphere. You might even say it’s the centre of entertainment on the island of Koh Tao, a place which is otherwise filled with small quiet coves for beaches. Sairee Beach is where it’s happening, no matter what “it” might be for you. Although mostly visited by young people who enjoy a bit of action, families don’t need to be shy of Sairee during the daytime. There is plenty of popular water sports, including diving, snorkelling and stand-up paddle-boarding. This two-kilometre stretch of white powder sand also offers up a lot of shade under its many palm trees, and the waters are calm for swimming in. When the sun goes down, however, is when Sairee Beach really comes to life. There are always lots of parties happening (more often than not these are frequented by fire dancers) in and around one of the many great beach bars where there is music playing all day and all night. There are also great boutiques all along the street just behind the beach, perfect for wrapping up your evening with a leisurely walk. Wedged in between two mountains along Ao Manao Bay in the province of Prachuap Khiri Kahn, is Ao Manao Beach. It is located within the Prachuap Airforce Base, Wing 5, and thanks to this it has kept a lot of its local character. 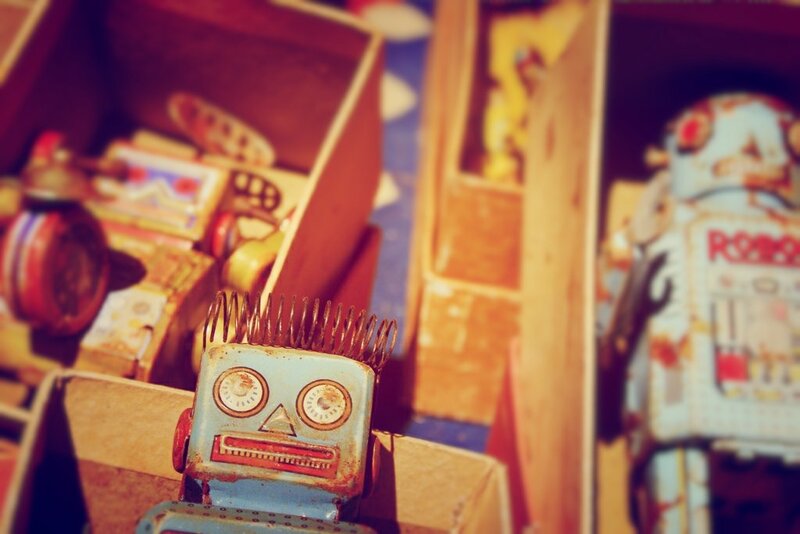 You’ll rarely spot foreign visitors here, and the beach is far from a tourist trap. The beach is cleaned by cadets every morning at dawn, and in accordance with air force regulations, there are no beach vendors. Instead, there are cheap beach chairs for rent and affordable food and drink (as prices are regulated by the air force). In the popular outdoor food courts, you’ll come across some incredible seafood prepared just how the locals like it. Most of the beach, however, is undeveloped and there is lots of space for laying down a towel and playing in the sand. The south end is especially quiet and empty, plus it’s the perfect place to go on a seashell hunt. It’s impossible not to fall in love with the unique crescent shape of Ao Manao beach, its white sands and shallow waters. Just out to sea, there are lime-rock island jutting out of the water (coincidentally, Ao Manao translates to Lime Beach in Thai) where you can spot some exciting marine life and explore small caves. The waters here are dark and deep-blue, with evergreen trees providing plenty of shade. 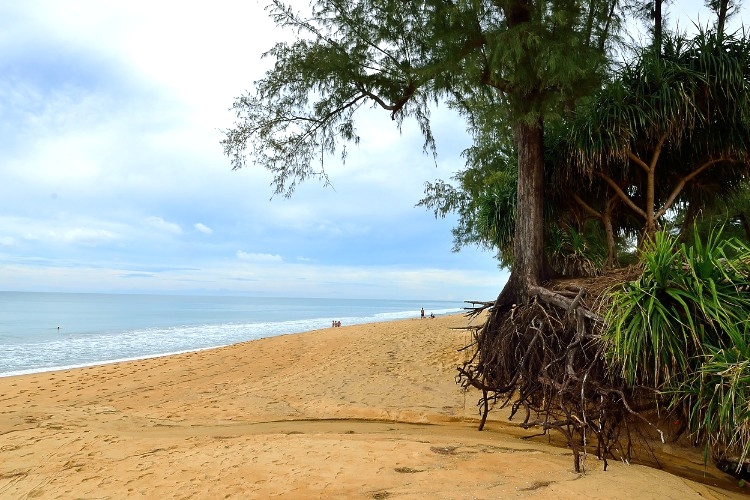 Ao Manao may be a small beach, but it feels like a little world in itself. We’re incredibly excited to announce that we have launched our holiday villas Thailand. We couldn’t be more excited to provide a whirlwind holiday to this magical destination. Feel free to get in touch with our concierge team to get the ball rolling on your Thai holiday as soon as possible. We hope you’re as excited as we are.